Cloud adoption is growing, but relatively few organizations have advanced cloud strategies. 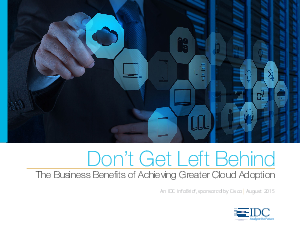 Achieving greater levels of cloud adoption allows organizations to materially improve strategic allocation of IT budgets, lower IT costs, reduce time to provision IT services, increase revenue, and improve ability to meet SLAs. private cloud/OpenStack adopters are more likely to expect better business outcomes.